WASHINGTON: Special Counsel Robert Mueller has handed in a keenly-awaited report on his investigation into Russia's role in the 2016 presidential election and any potential wrongdoing by US President Donald Trump, the Justice Department said on Friday. The report was not immediately made public — Barr will have to decide how much to disclose — and it was not known if Mueller found criminal conduct by Trump or his campaign, beyond the charges already brought against several aides. Mueller, a former FBI director, had been examining since 2017 whether Trump's campaign conspired with Moscow to try to influence the election and whether the Republican president later unlawfully tried to obstruct his investigation. Meanwhile, President Donald Trump on Friday intensified his attacks on special counsel Robert Mueller's Russia investigation in his latest effort to undermine the findings in Mueller's highly anticipated report, saying "people will not stand for it." Trump was focused on its beginnings rather than its conclusion, complaining about Deputy Attorney General Rob Rosenstein's appointment of Mueller in May 2017. Rosenstein appointed the special counsel after Trump fired FBI Director James Comey, who was leading an investigation into possible collusion between the Trump campaign and Russia. "I have a deputy, appoints a man to write a report on me, to make a determination on my presidency," Trump said in an interview with Fox Business Network. Attorney General William Barr delivered a letter to Congress on Friday notifying the leaders of the Judiciary committees that special counsel Robert Mueller had submitted his report on the Russia investigation. The letter was addressed to Republican Sen. Lindsey Graham of South Carolina, Democratic Rep. Jerrold Nadler of New York, Democratic Sen. Dianne Feinstein of California, and Republican Rep. Doug Collins of Georgia. Barr's letter states: "The Special Counsel regulations provide that "the Attorney General may determine that public release of" this notification "would be in the public interest." 28 C.F.R. 600.9(c) I have so determined, and I will disclose this letter to the public after delivering it to you. Trump lawyers Rudy Giuliani and Jay Sekulow say they're 'pleased' that special counsel Robert Mueller has submitted his final report to the attorney general. The White House has not received or been briefed on the Special Counsel's report. The Special Counsel Mueller has submitted to to US Attorney General William Barr a confidential report explaining the prosecution or "declination decisions" he has reached. This report is required by US law. Barr will be reviewing the report. Mueller report's conclusions were not published. 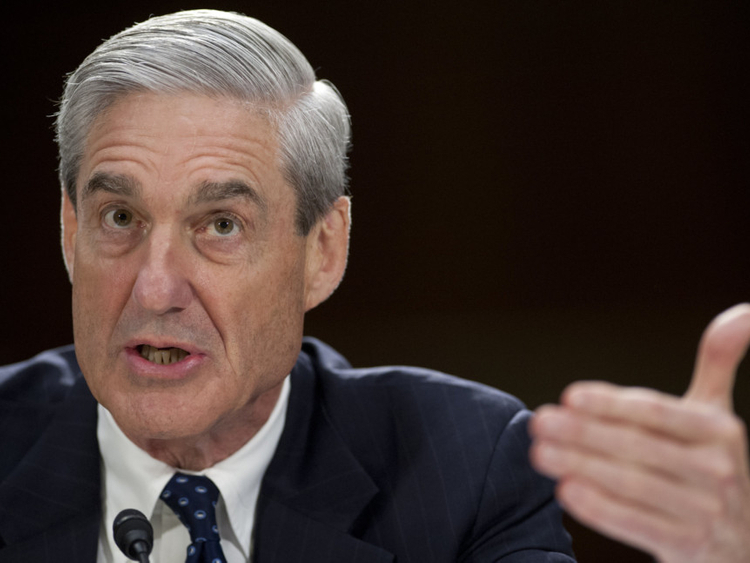 Bar will deliver a summary of Mueller's finding to Congress and advise the US Congress of the Special Counsel Mueller's principal conclusions — as soon as this weekend. White House Press Secretary Sarah Huckabee Sanders said: "We look forward to the process taking its course." It is still unclear what, if any, information from the Mueller report will be made public. In a joint statement, House Speaker Nancy Pelosi and Senate Minority Leader Chuck Schumer said in a joint statement: "Attorney General Barr must not give President Trump, his lawyers or his staff any 'sneak preview' of Special Counsel Mueller's findings or evidence, and the White House must not be allowed to interfere in decisions about what parts of those findings or evidence are made public." Would everyone accept the result? Within days, America and the world would learn whether Mueller answered key inquiries: Did Trump cooperate with a hostile foreign power to win the 2016 election? Did he use that platform to seek to enrich himself with multi-billion dollar business deals in Russia? Did the President obstruct justice, including by firing FBI Director James Comey, in an effort to cover it all up? And is there any evidence to suggest why Trump often appears to be obedient to Russian President Vladimir Putin, following fears felt deep within the FBI that the US President was compromised? And can he explain the multiple suspicions contacts between Trump's associates and Russians — both before and after the election — and the lies they all told about those relationships? Trump's team is already celebrating, claiming it is already clear that the President has already been vindicated since Mueller did not indict anyone for cooperating with Russian election meddling. Mueller carried out a tightly-controlled investigation. No one outside the Justice Department knows what is in the report, how long it is and how much it deals with the President's own actions. But its delivery sets up an even bigger test for Washington's political institutions than those involved in getting it safely to its culmination. Attorney General William Barr will now make a crucial historic role of deciding how much of the report the White House will initially see, and the extent to which Mueller's conclusions will be shared with Congress and the public.